Noted corporate-honcho-turned-academician, Dr. C.N. 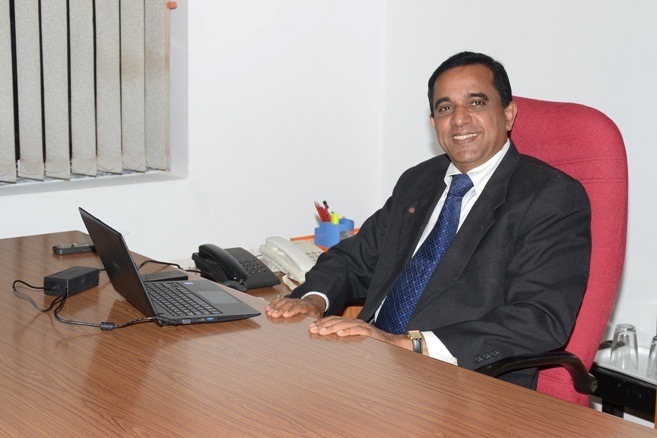 Narayana, has taken over the reins at Kirloskar Institute of Advanced Management Studies. KIAMS is the brainchild of Shantanurao Laxmanrao Kirloskar, one of the first Indians to have studied Engineering at the Massachusetts Institute of Technology and a distinguished son of India. It is backed by the Kirloskar Group, which is amongst the biggest corporate conglomerates of Asia. A Management PhD in HRM Strategies from Canterbury University, UK, Dr. C.N.Narayana comes from a sterling corporate background spanning nearly 25 years, before moving into the academia in 2010. In his corporate avatar, he has traversed a number of industries and roles, with organisations like Godrej & Boyce, GE Appliances, Thermax, Xerox, RPG; reaching at the zenith of his corporate career at Essar Group as the Head - Global Working Capital Assurance. After being bestowed a PhD by Canterbury University, Dr. Narayana shifted into the academia. Starting with International Management Institute, he held the dual roles of GM, Operations, as well as Professor between 2007-08. He returned to IMI later in 2011, again in a dual role, as a Registrar and Secretary, Board of Governors, and Chief of Operations for New Delhi and Bhubaneswar. In June 2014, he joined as a Professor of HRM and Director of CDL at IFIM, Bangalore, before taking over as Director of KIAMS. In November 2014, he won the 22ndDewang Mehta Best Professor of HRM Award. Raised in 1991, and with campuses at Harihar and Pune, KIAMS is widely recognised amongst the Top-40 B-schools in the country, and is AICTE approved. Originally designed for the purpose of being a captive management centre-of-excellence for the managers of Kirloskar Group, KIAMS became a regular B-school in 1995 with a strong industry-based curriculum. This move was deeply motivated by the larger benefit to the nation. By the late nineties, the Indian economy had opened up considerably, and industry-relevant managers were the prime need of growth and nation building. KIAMS adopted "Education through Values" as its credo…its ruling paradigm, in line with the Kirloskar philosophy and outlook. Today, KIAMS graduates all over the world are recognised for their industry-immersed knowledge. The institute has been instrumental in offering not just management knowledge to aspiring leaders, but development and consultancy to some of the most inspired businesses across the world like Adecco, Grasim Limited (Aditya Birla Group), JSW Steel Limited, and the Abdullah Hashim Company Limited (Jeddah, Kingdom of Saudi Arabia). Till the 2011-12 academic session, KIAMS has conducted 457 MDP’s for a total of 9228 executives. 120 research papers and conference representations have originated from amongst the Faculty and researchers at KIAMS. Over a period of time, KIAMS has established a second state-of-the-art campus at Pune. The pool of world-class faculty at Harihar, also mentor students at the Pune campus.